It seemed from my reading the review said he could only display 4 data fields on the map page. He could also display zero data fields. But he could not figure out a way to have only two data fields displayed. Once more people get their hands on it and report their experiences, I am sure it will sort out. He just may not know what he is doing. On every other Garmin model there are tons of options for the map data fields. I would doubt the options vary at all from the 700. The current firmware (v2.10) only allows for one data field or four data fields on the map page. There is no two data field option at this time. This is a fact, not assumption. only allows for one data field or four data fields on the map page.﻿ There is no two data field option at this time. Yes, and it might never happens to be changed as the size of the dashboard (which does show the data fields) is predefined by its size. The only solution is a quick toggle of showing the dashboard by hitting the small triangle button at the dashboard's bottom. Yeah, I don't think there will be a two data field option. Even on the Oregon 600's dashboard is limited to either small data fields (4) or Large data field (1). I think the way dashboards are implemented has changed since the days of the Oregon 300/400/450/550 and the GPSMap 62. PS - after playing with my Oregon 450, I realize what the changes are. On the when customizing the map, the option is called "data fields" with the option for your data fields to be overlayed with a dashboard. If you select dashboard, it then gives you a list of dashboards to choose from. Otherwise, the options are 0, 2, and 4 data fields with one of the dashboards being a single large data field. On other pages (compass, trip computer, etc...), it's actually a dashboard with a button down in the corner to select your dashboard - which includes Large data field (1) or Small data fields (4). I think going forward with the Oregon 600, dashboards were just universally implemented on all pages, and so there are no "data fields" on the map, but rather a dashboard that can display data fields. And as HHL points out, the size of a dashboard is fixed. Does anyone with a 64 know if it uses the old style (Select Data Fields, then choose 0, 2, or 4) or the new style (Large/Small data fields as separate dashboards) on the map page? I see. I have been spoiled with my 60CSx being able to use the map screen with only 2 data fields. Having it display 4 on the 60CSx, whether it is called a dashboard or something else, is not really an option for me when using the map. Covers too much of the map. But maybe with the bigger screen on the 66 it will work. Or just use the map without any other information. One of the reviews does seem to show the satellite page with two data fields though? The screen is now the same size and resolution as the Oregons, and the map is just fine with a dashboard. I'm assuming the dashboard size hasn't changed. The menu system is different as it is not touch, but otherwise, the basic page layouts are virtually identical to the Oregon 6x0, 7x0 units. Is it possible to transfer full Pocket Queries of 1,000 caches via 'Geocaching Live' or any other feature without booting up a computer and plugging it in? Yes. Oregon 7x0 and GPSMAP 66 both do this. My new 66s does nor connect with my wifi and doe not find any other wifi. it seems that the firmware is very buggy. very slow connection to geocache live. i think only with bluetooth. Othen the 66s crashes at using it. I have my newly purchased 66st boxed up and ready to return. Too many problems for something I rely on to navigate. I am so disappointed. I have been looking for so long for a replacement for my Oregon 450 and thought this was it. If they get the bugs worked out, I will definitely purchase it again. Great handheld but too many recurring problems. I had the screen freeze on three separate occasions. I was unable to turn off the unit; needed to remove the batteries and wait for the screen to fade; then replace the batteries and power it back on. I also had it turn off on it's own while in use. I finally did a hard reset, and while setting it up for the second time, it powered off on it's own. That was all I needed to see and made the decision enough was enough. Back it goes. I'm interested to hear if anyone else has similar experiences. I did contact Garmin, but I wasn't interested in an exchange; not until I feel confident that this unit will be reliable. 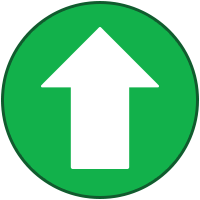 Before you send it off, are there firmware updates and have you installed them? Garmin is notorious for putting out models in such a state that early adopters end up being the product testers that discover bugs. 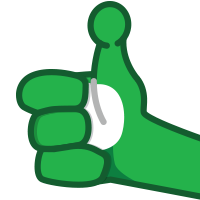 But they are also pretty good about fixing them and getting a stable product within the first year or so of the initial release. Yup, went through Garmin Express and should be up to date, unless there has been a VERY recent update. At this point, I wouldn't feel comfortable being deep in the woods, relying on this unit, knowing that I am the bug discoverer. I would prefer to wait until spring or later and get something that has been out in the field a while. Garmin was really good at trying to work with me and have offered to keep me notified as the unit becomes more widely released and reviewed. Thanks for the update mention - much appreciated. 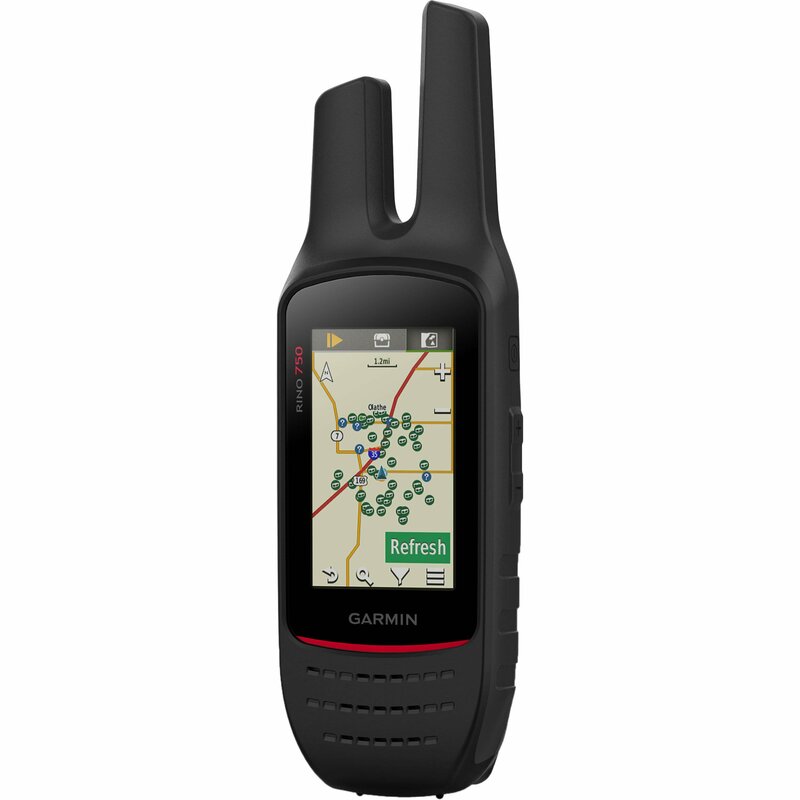 Unfortunate that Garmin does not put out solid handheld GPSrs like they formerly did. When was this former period? 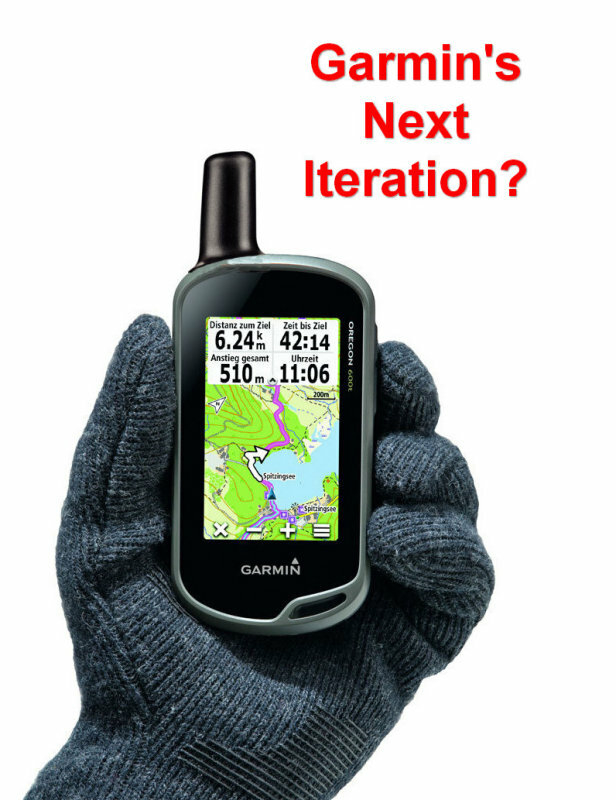 I've been using Garmin handhelds since 1997 and every release since the 60C has been buggy. I have been happy with the 66st so far, but haven't done much with it beyond playing around with it here and there and testing the accuracy compared to a loaner 64st. So far I really like the 66st's higher resolution screen. The preinstalled maps and other maps from gpsfiledepot look better than on the 64. I don't like the multi direction pad as much as the 64's. The 66's pad clicks while the 64 doesn't. Reception/accuracy is about the same, with the 66st usually reporting 8ft accuracy when outside and the 64st reporting 9-10ft. The Birdseye imagery is interesting, but isn't up to date and is low res. I haven't had the lock up issues reported above. I have a question about downloading live cache data. If you have updated the coords of a Mystery, does it download the updated coords or the posted coords? And does it display a different icon for update coords? Or are they all the same blue mystery symbol? I just ran a test and downloaded some mystery caches. The caches with corrected coordinates downloaded with the corrected coordinates. The have the same blue mystery circle. Thanks JP. That will certainly cause a little extra effort to figure out if they are the posted or corrected coords. For those who were uncertain, GPSrChive > GPSMAP 66 > Specifications has evidence the GPSMAP 66 still uses the QFH antenna the 60 series GPSr are famous for! It won't happen. But it's also not necessary. Antenna technology has improved to the point where having that external quad helix antenna is mostly for aesthetic or placebo effects, rather than any real functional advantage. I'm really interested in the Garmin GPSMAP 66s. Does this still use USB-Mini? Ideally it'll use USB-C, but it seems like Garmin is stuck in the stone age by continuing to use USB-Mini with their outdoor devices. Anyone here have any recommendations on a screen protector for this device? Is it possible to use GPS, GLONASS, and Galileo simultaneously to improve accuracy? If not, would I be better off using GPS+GLONASS since the EU haven't completed the Galileo rollout? What other settings are you guys using to maximize accuracy such as enabling WAAS? I also never heard of RINEX before. I'm really interested in it. I was hoping to use it with a recording interval of one second for my tracklog. Is RINEX recording separate from that? How do I enable it and also get the device to record a tracklog with an interval of 1 second? How do I post-process the data to further improve the accuracy of my tracklog? Garmin seems to be fairly conservative when it comes to updating technology in general. Do the automotive units use USB-C? As far as I know, they don't yet. But in general, Garmin's technology is going to be behind that of smartphones, for better or worse. It took Garmin a long time to fully adopt the USB standard in general, and even though a few of those mid-2000's units had a USB port, it still carried Garmin's proprietary serial connection. It wasn't until ~2008 that they finally adopted the full USB standard and allowed for mass storage mode. At this point I'm not even sure if the USB version in the latest units is 2.0, 2.1, or 3.0. Or if they're still stuck in 1.1, though I'd be skeptical on that. As recent as a few years ago, the SD card slot wasn't a class-10/UC1 - you can use the faster cards, but I don't believe you'll get the read/write speeds supported by them. I think it will be a few years before Garmin implements USB-C, waiting for it to become standard for all gadgets. Even the Bluetooth included in recent models is quite limited. That said, there are some places where Garmin will always be "behind." I don't foresee Garmin using super fast / powerful processors in their handheld line, nor will they increase screen resolution much beyond where it already is. Increasing these features will come at the cost of power consumption, and part of the allure of these devices is the ability to use them all day on a pair of AA batteries. Already, I think Garmin has caved to pressure by adding WiFi capabilities into a tool that really doesn't need it. Go to Amazon and search for "screen protector Garmin gpsmap66." The Military Shield protector that I have on my Oregon 600 works well, and they *should* have one that fits the 66. If they don't, it will come soon. According to the manual, it appears that you can only use one other satellite set at a time. Yes, enable WAAS. GPS + GLONASS doesn't always give you the most accurate position - I suspect there is some inconsistency with the Russian system and our own. So sometimes I get a more stable reading with GLONASS turned off. But I'm using an "older" GPS, one of the first to have GLONASS support, so maybe that has improved. Play with it and see. Be aware that the accuracy of your GPS means nothing for geocaching if a cache owner didn't have an accurate location reading when placing their cache. Feel free to experiment and play with the GLONASS, Gallileo, and GPS-only options to see which one gives you the most stable location, as well as the most accurate with respect to some known reference point. Try them in different locations and scenarios. It's easy enough to switch back and forth. I can only speculate here, but given that the RINEX is the raw satellite data, I suspect that for each "ping" sent out, you'll get the data from each satellite that gets pinged back. I suspect that information includes: the time in UTM, the position of the satellite at that time, and the time it takes to communicate in milliseconds, used to compute a distance from that satellite. All of the distance rings are then used to triangulate your location. I suppose you could use the RAW data to look for satellites that might be providing faulty data and skewing the estimate of your location. According to GPSrChive > GPSMAP 66 > Function the GPSMAP 66 uses a micro-USB connection. I also was hoping for a USB-C.
Well, that's disappointing. Yeah, the image in the manual (linked above) also appears to show a micro-USB port, and is labelled as such. These ports are way less durable than the mini-USB ports they were using prior, though I suppose Garmin finally decided that this port is now standard (or past standard) and everyone has micro-USB cables on account of every phone using them in the past 10 years. So I suppose it'll be another 10 years before they introduce a USB-C connection. I have had my 66st for about two weeks and I am still learning my way around it. I have found a half dozen of caches with it and it seems fairly accurate. I haven't had any problems with it yet. I am hoping to continue to hear positive reviews so that come spring I may take another leap of faith and give the unit another try. I wrote down the serial number of the one I returned in case I just happened to get a lemon; don't want to go down the same road twice. Keep the feedback coming - I'm listening! I am hoping to continue to hear positive reviews so that come spring I may take another leap of faith and give the unit another try. It is interesting that there do not seem to be too many actual reviews and videos in recent weeks now that these units are available. This may be an indication that people are generally happy with what they are finding and do not see the need or enough new features to produce a review. Or perhaps it is that saIes of the units are low. I found a couple of eglish videos, but find many more video reviews from Europe, Germany specifically. But as opposed to a written review, there is no way to translate a non english video. 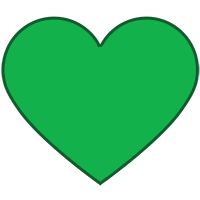 Hopefully as more geocachers buy the 66s or st, they will continue to post their opinions here. It would be interesting to to what sales volumes are like. These are expensive and most people use phones these days. The Colorado and first gen Oregons were expensive. They could cost as much as $600 USD ten years ago. Today, the more expensive GPSMAP 66st is only 75% of that cost, ten years later, and provides exponentially more capability to boot! All my GPSr to date have been touchscreen (save for the Colorado) as I detest text entry on a non touchscreen unit. However, the added features and functionality the GPSMAP 66 offers has me more than just a little enamored at the moment. Had Garmin stuck with Mini-USB (or went with USB-C) AND included the Oregon 7x0 capacitive touchscreen on the 66st, I don't think I would have anything to complain about! They are not expensive compared to what GPS used to be. They are expensive compared to a phone and what it can do. I'm quite active in serious hiking and mountaineering groups. 90% of people use phones for navigation and when you look at younger people it is close to all of them. They are expensive compared to a phone and what it can do. Wellll, sometimes you get what you pay for. Don't want to hijack the thread.. Garmin still builds rugged and useful handhelds and this 66s seems to be one still. I would not hike with anyone that uses a phone if I had left my Montana 850T home.. too many cons for that use.. I mean real hiking.. back country into mountains or any where one relied on having to navigate for safety. especially. I don't use a phone either. I own four different handheld Garmins.... My point is that most people do, including those very serious backcountry users and I thought it would be interesting to see what sales figures are like compared to previous years. The discussion has come up many times in group of very serious users and it is clear over 90% use phones or an inReach. There are very few using dedicated handhelds. The current crop of ruggedtized Android phones are just as durable so there is less basis to automatically say a dedicated handheld is the only choice. As to Mr. Atlas, it is not your job to decide what people are allowed to discuss. The direct personal insults, though, are not an acceptable way of communicating. I have found 3 versions of this, the s, the st, and the s preloaded with a Garmin 24K Topo of your choice. Currently I use an old, limping along, 60CSx loaded with the Northwest Trails overlay map from Jon at the Switchbacks website. He also has a Northwest Topo map that I believe is a basemap. I know there are other maps at GPS File Depot, but I have not used those. Maybe I can get the s model and load a U.S. basemap that is better than the Garmin 100K? Then overlay on that a trails map with specific detail for the Northwest where I spend 95% of my time? I want a good basemap that covers the entire US and that I can overlay with more detailed regional maps. I don't mind getting the st, but if I would get better maps by getting the s and then loading all maps myself, I can learn to do it that way. I know this question strays a bit to mapping apart from specifically the new 66 model. But really I am just trying to decide between the s and st models. The cost difference is not an factor. The learning curve to using custom maps is not either. Just don't want to get the st and overlay the Garmin U.S. and Canada 100K maps with more detailed maps and then figure out that I would have had better results getting the s and loading all maps, including a basemap, from scratch. Thanks. Whatever you want really. 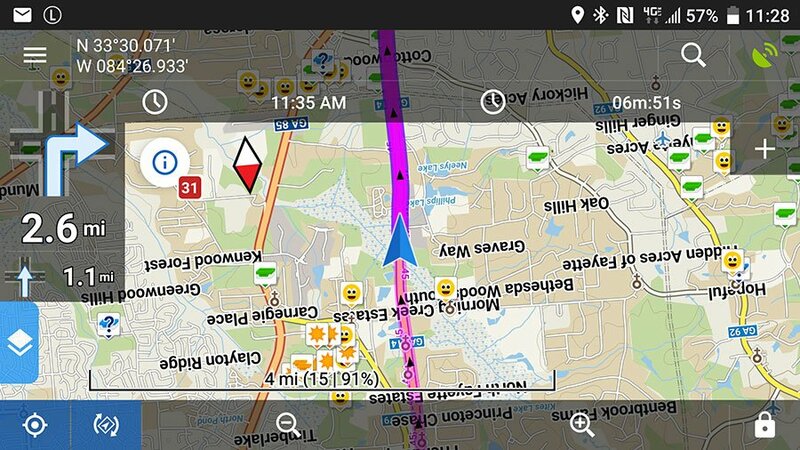 You can have all sorts of different maps on the GPS at the same time and switch between them whenever you want. I usually have 5 different maps on my GPS and change depending on what I'm doing. These can all be associated with profiles as well that you setup for different activities. I'm finally looking at the 66, and the comparison I found between the 66 and the 64 doesn't make them seem very different except the obvious:: 66 cost twice as much. I know nothing about Garmin. Is the 66 worth it? The 64 look like a good deal for xmas, so I want to know if I'm ripping Santa off by asking for the 66. Larger, higher resolution screen. 3" versus 2.6", 240 x 400 pixels versus 160 x 240 pixels (2.5 times the number of pixels). Wifi and Bluetooth so that you can access internet data directly through wifi or via a mobile device using Bluetooth. Loaded caches in the field, load pocket queries directly. Larger memory, 16GB versus 4 GB. And some other things. The software has more options that have come with the Oregon 700 series. Curious if anyone can explain the fitness aspect of this unit? Garmin says a little here, but how exactly does the 66 know your heart rate, etc.? By using a heart rate monitor. I wonder if the device has to be a Garmin to communicate with the 66. I found the Vivo Fit Garmins that go on your wrist. In theory that would be convenient, but they really get a lot of terrible reviews. Maybe I can get the s model and load a U.S. basemap that is better than the Garmin 100K? Then overlay on that a trails map with specific detail for the Northwest where I spend 95% of my time? I want a good basemap that covers the entire US and that I can overlay with more detailed regional maps. I don't think such a product exists. At least not for the entire US. There are some OSM options with topo lines, but I don't find them to be aesthetically pleasing, nor is the topographic data as detailed as the state and regional maps that you can download. Not every state map includes trails, either, which is a shame, but such is life if you want free, community shared projects. For the northwest, the Northwest Topos map is the best you will find - there isn't anything like it for the rest of the country. So... to get or not to get the ST version? It's a hard call. Personally, I found myself downloading maps for states and regions that I visit, therefore not using the Topo 100k map. When I upgraded my GPS, I opted not to spend the extra on the T model. On the other hand, the Garmin 100k map isn't terrible. It does have most trails included, and it's nice to have a single contiguous map, especially when hiking and caching around state lines. I've downloaded the My Trails overlay which seems to cover most of the trails outside of the northwest, and there is a Southwest Trails overlay in case you head down that way. For much of the southwest, there is a map called "Big Desert Southwest" which is overly detailed, but rivals the Northwest Topos in that it is built from routable data from OpenStreet Map. So if you're headed to Nevada, Utah, or the northern 2/3 of Arizona, that's a good map to have. But it may make your 60csx chug a bit. If there is any reason to retire the 60csx for one of the newer models, it's because they render these maps much more beautifully, and are faster to draw them. The hardware can keep up with the data demands. Every time I see Jon, I get on him to update the Northwest Topos map, but he's a busy man with less free time now that he's working in Seattle, but living in Spokane. What a commute. That is indeed a long one, even if flying, not driving. I still like it, but the need to retire the 60CSx is because of issues with functions and buttons wearing out. I will like the faster response and added storage, waypoints, tracks, etc. of the 66 though. And thanks for the rest of the helpful reply! I considered replacing my aging Oregon 450 with the 64 due in large part to it's outstanding reputation, as well as pricing. I could never pull the trigger because of the small screen size and the step down in resolution. The 66 screen is gorgeous in comparison - the increased screen size and pixels made me decide that this was the unit for me. There are many reasons for the difference in price between the two units - you just need to decide if the added bells and whistles and screen size/resolution is worth the extra $$. Sorry but the current crop of phones aren't nearly as durable as a Garmin handheld GPS.